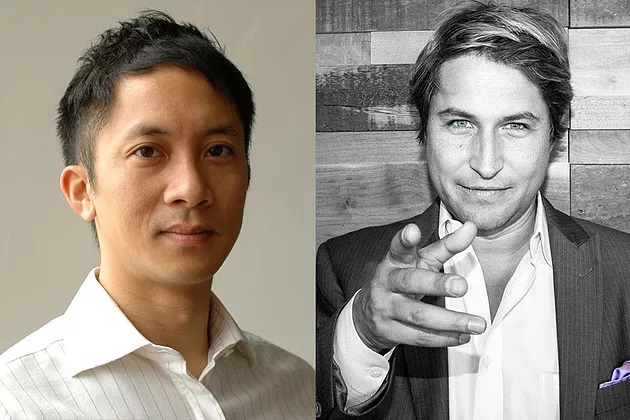 Ambrosus, the world’s first trusted blockchain-based ecosystem for the supply chain, today announced the addition of Jehan Chu, Managing Partner of cryptocurrency investment firm, Kenetic capital and David Drake, Chairman at LDJ Capital to its advisory team. With an upcoming token sale commencing on September 13, 2017, both Jehan and David will provide counsel on critical issues such as partnership and business development, marketing, and investor relations. This announcement comes as Esther Amstad, a Scientific Advisor to Ambrosus, takes the role of Lead Scientist. Founded in 2016 by Angel Versetti and Dr. Stefan Meyer, Ambrosus is the world’s first publicly verifiable and community-driven system to assure the quality, safety, and origins of essential products, such as medicine, food, and commodities. Combining high-tech sensors, blockchain technology, and smart contracts, Ambrosus brings transparency to the supply chain, aiming to overcome the current deficiencies and challenges of current global manufacturing and markets. 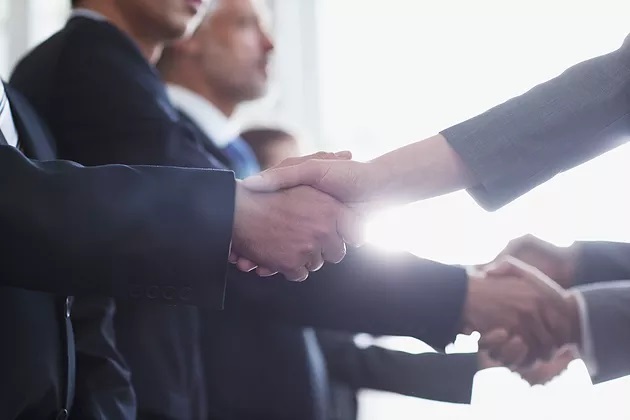 A managing partner at Kenetic Capital, a blockchain and cryptocurrency investment firm based in Hong Kong, Chu founded the Ethereum Hong Kong Community, the Hyperledger Hong Kong Community and co-founded the Bitcoin Association of Hong Kong. He also serves as the co- Chairman of the Hong Kong Fintech Association Blockchain Committee, is a member of the Asia Fintech Angels Association, a Fellow of Singapore University of Social Sciences, a Gerson Lehrman Group (GLG) Council Member and Metta Curator for Blockchain. Additionally, Jehan is an Advisor to Melonport, QTUM, Digix and OpenANX Projects, Vice Chairman of Para Site Art Space, Board Member of Design Trust, and Global Patrons Board of San Francisco Museum of Modern Art. “I am delighted to join Ambrosus as a strategic advisor. The use of emerging technologies such as sensors, smart contracts and the blockchain paired with groundbreaking scientific research makes this one of the most innovative projects in the space right now. I look forward to helping shape the milestones to come,” Jehan Chu added. David Drake, through his family office LDJ Capital, has acted as GP and LP investors with his partners in fund-of- funds, realty funds, venture capital funds and hedge funds. David’s investments currently have over fifty global directors that maintain relations with institutions and family offices with $1.5 trillion in assets. An advocate of innovative investing in early-stage equity, David has represented the US Commerce Department at the EU Commission in both Brussels and Rome as well as a speaker at the UK Parliament. “I am proud to join the Ambrosus advisory board whose team has a stellar mix of scientific expertise, technical proficiency and strategic know-how. From starting with the global food ecosystem to now shaping the supply of pharmaceuticals, the future is bright for Ambrosus as it prepares to commence its upcoming token sale,” said David Drake, Partner at LDJ Capital. A Tenure Track Assistant Professor, Esther Amstad heads the Soft Materials Laboratory at the Swiss Federal Institute of Technology, EPFL. A former Postdoctoral Researcher at the Harvard School of Engineering and Applied Sciences and holder of a Ph.D. in Engineering from ETH Zurich, Esther joins Ambrosus as its Lead Scientist. “Esther Amstad has already proven herself to be an invaluable advisor to the Ambrosus project. We are delighted to have her come on board as our Lead Scientist to formally continue her groundbreaking work in this field,” said Dr. Stefan Meyer, Co-founder, and CTO of Ambrosus. The Ambrosus token sale will take place from September 13, 2017, until October 12, 2017. Founded in 2016 by Angel Versetti and Dr. Stefan Meyer, Ambrosus is the world’s first publicly verifiable and community-driven system to assure the quality, safety, and origins of essential products, such as medicine, food, and commodities. Combining high-tech sensors, blockchain technology, and smart contracts, Ambrosus brings transparency to the supply chain, aiming to overcome the current deficiencies and challenges of current global food manufacturing and markets. Following the recent partnership with Trek Therapeutics, the Ambrosus protocol can now help ensure the quality, safety, and integrity of other vitally important products like pharmaceuticals. Officially endorsed by EIT Food and SQS (Swiss Quality and Safety Association), Ambrosus boasts the support of significant global bodies and associations including the United Nations, EPFL, the Crypto Valley Association, and financial backing from the Government of the Canton of Vaud, Switzerland. With an underlying ERC20-standard token called Amber, Ambrosus will complete a token sale in September 2017 that will serve to fuel the development of the Ambrosus ecosystem. For more information, or to see technical papers for Ambrosus sensors, marketplace, and non-invasive analytics, visit www.ambrosus.com. Monaco Growth Forums (MGF) is an exclusive, invitation-only conference highlighting growth companies seeking capital and/or greater exposure. Andreea Porcelli, MGF Founder, and President have more than 20 years’ experience as an international investment banker, finding investors for small cap companies on a world scale. She and her team select, by invitation-only, companies seeking international investor exposure to present and then socialize over three days with institutional fund managers, private asset managers, high-net-worth individuals, and industry-related sponsors and foundations—all of whom are also exclusively invited to match MFG’s highly selective criteria.